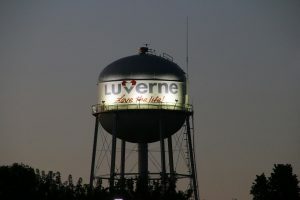 The City of Luverne, Minnesota owns and operates a water storage tank that was built in 1945. 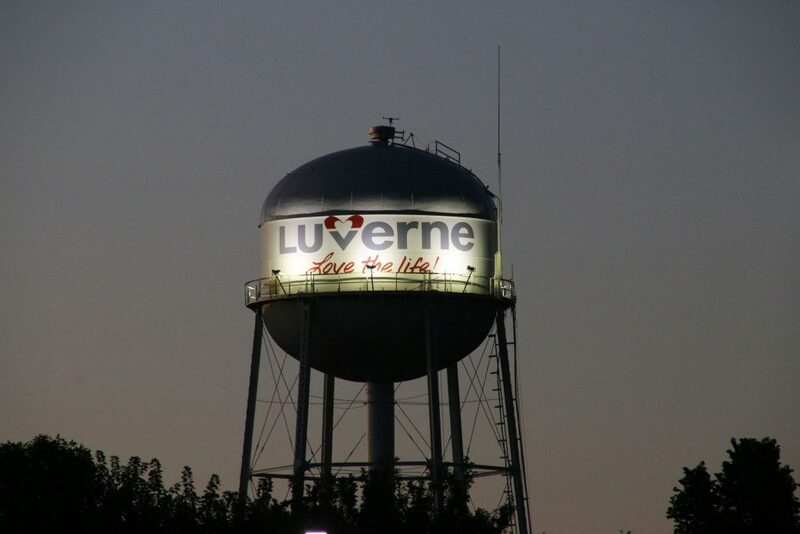 The tank is a riveted style of construction that was built prior to the full implementation of electric-arc welding. 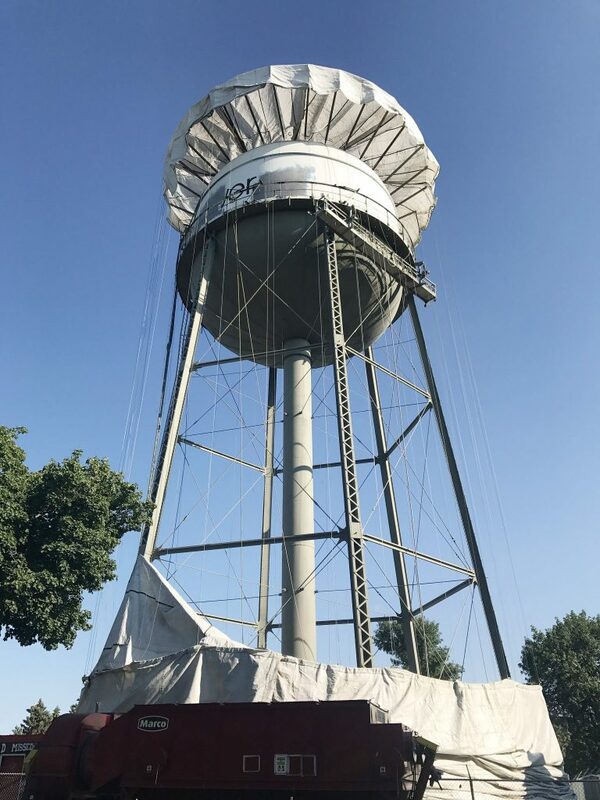 Being less than 20 miles away, DGR Engineering made an initial investigative inspection of the existing coatings to determine an appropriate maintenance strategy. A sample of the exterior paint was removed and analyzed for lead content. Test results showed the paint had a lead concentration that would require abatement. Abatement of the lead based paint was achieved by requiring a lead stabilizing abrasive additive, a containment shroud with air-impenetrable walls, ceiling, and floors, and safe collection and disposal of the contaminated abrasive media. In addition to containing the removed lead-based paint, the containment shroud prevented blasting media and newly applied paint from drifting off-site to the adjacent residential housing and busy state highway.